Krita in the Windows Store: an update | Новости | UNIX News - новости Юникс систем. What’s not so good is that having an app in a Store basically means you’re a sharecropper. You do the work, and the Store allows you whatever it wants to allow you. You’re absolutely powerless. All the rules are made by the Store. And if there’s one particular rule that gets interpreted by the Store curators in a way that’s incompatible with the English language, well, we’ll have to submit to it and be obedient. And, of course, apart from 10.8 not being the case, so the “if” clause doesn’t apply, it’s not the Krita application that “promotes or distributes software” outside the Microsoft Store but the Store listing, and 10.8.5 doesn’t say anything about that. Now Microsoft was certainly aware that Krita is open source software published in the GNU Public License, and Krita would be distributed outside the Windows Store. 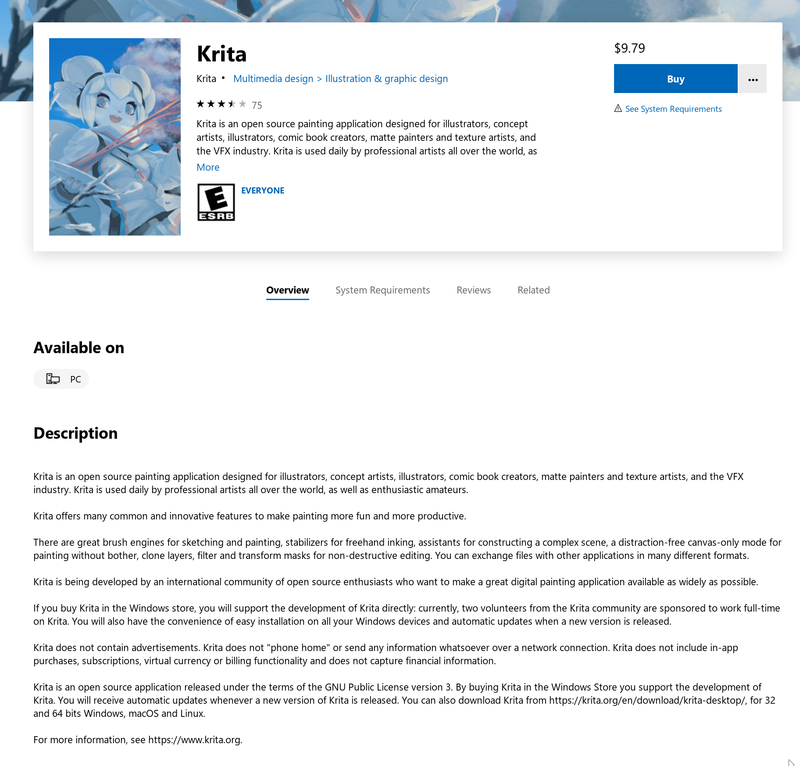 They actually helped us get Krita in the Windows Store to begin with, because, well, the Windows Store still is rather bare and doesn’t have that much good quality content. Update to Wine 0.9.58. Among others, this includes the following changes: - The default version is now Windows XP. - Many Richedit improvements. - Beginning of jscript dll support. - Shell folders now respect XDG directory configuration. - Many translation updates. - Lots of bug fixes. Генерация: 1.150 сек. и 13 запросов к базе данных за 1.061 сек.